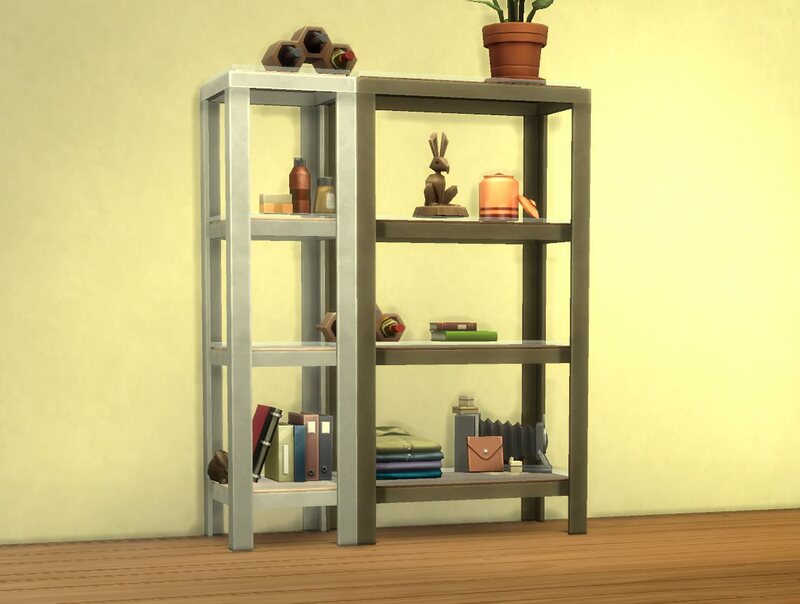 Two functional shelves that match the Maxis RAW series. 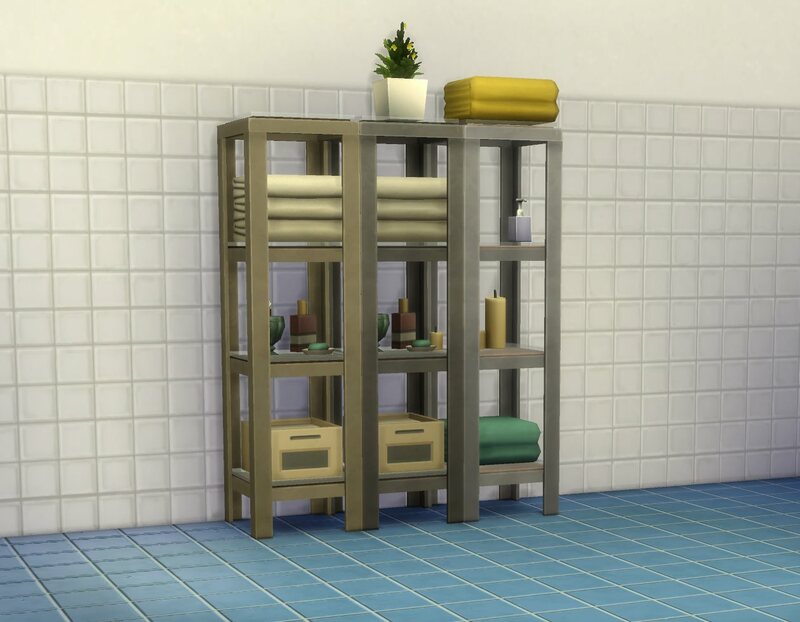 They are designed to sit flush next to each other and to the wall (when you mix the small and wide ones you will need to use moveobejcts for one of them since they’re a quarter tile apart). 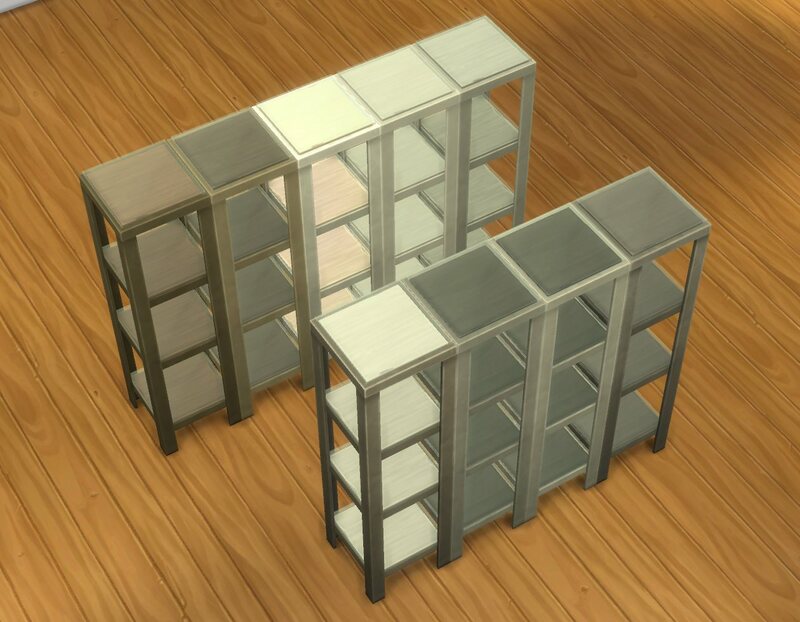 2015-03-06: There is now a mesh override for the original bathroom shelf available here that resizes that shelf to the size of the small one (and also adds some slots to it). All textures are referenced from the RAW Bathroom Shelf so they match exactly; any overrides you have for that will work for these as well. 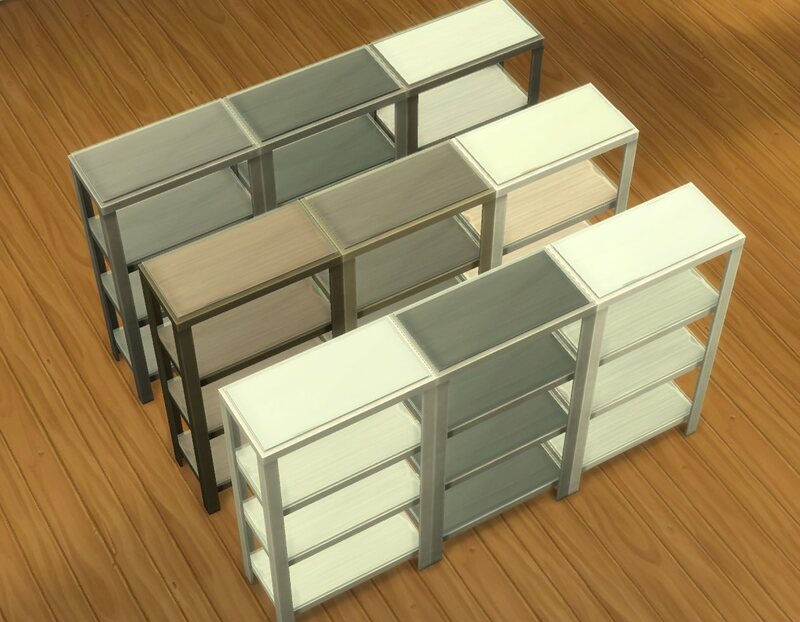 The wide shelf has 40 slots (8 for mid-sized items, the rest for small ones), the small one 20; they are spaced a little uneven on purpose because my sims are not the kind who would line up stuff in a shelf with a ruler. Both are in the Deco > Misc section; the small shelf costs 245§ and the large one 425§ (i.e. 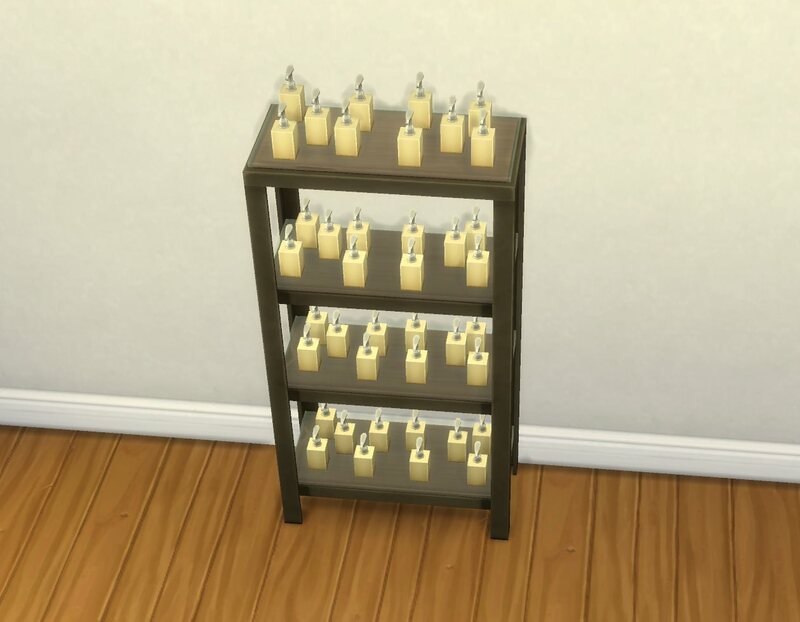 a little cheaper than the bathroom shelf which is already filled with stuff). 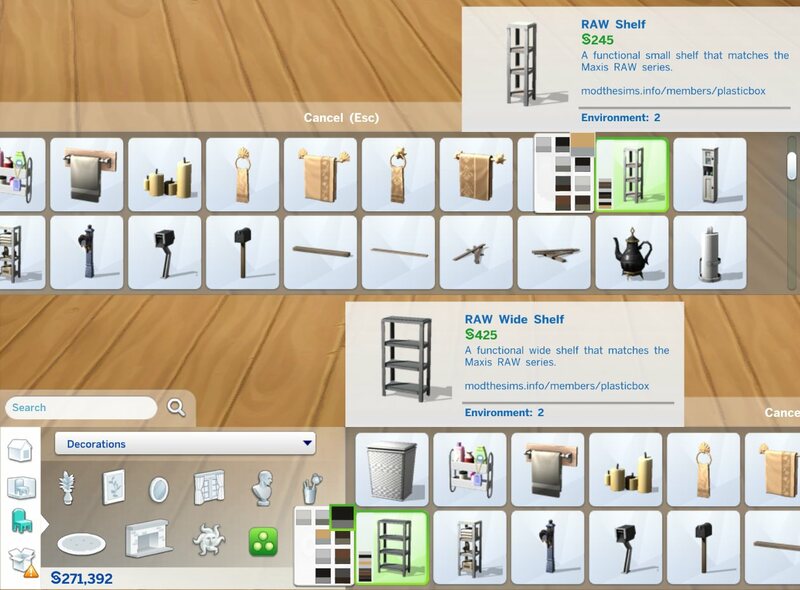 Nine colour options each, same as the bathroom shelf. BY-NC-SA as usual, for the attribution please link directly to this thread. Also, it would be nice if you’d drop a note in the comments when you share them somewhere, so that I can link to your recolours from this post. Thanks!